Koh Yao Noi is a peaceful and beautiful island close to Phuket and Krabi. 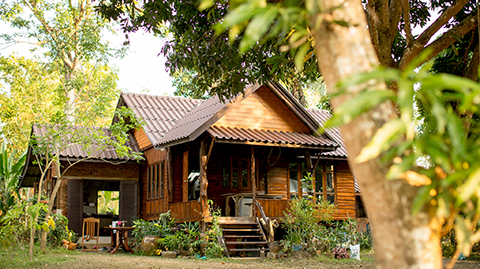 The cooking classes are not only suitable for people who stay on Koh Yao Noi but also for anyone who stays in Phuket and Krabi. It's only a 30-minute boat ride from Phuket and 45 minutes from Krabi. You can easily do a day trip to visit our island and join the class. People from our neighbor island "Koh Yao Yai” can also do either the morning or afternoon course with Mina. We are also very happy to assist you with finding accommodation, more activities and any other information you may require. Please get in touch, we look forward to hearing from you!